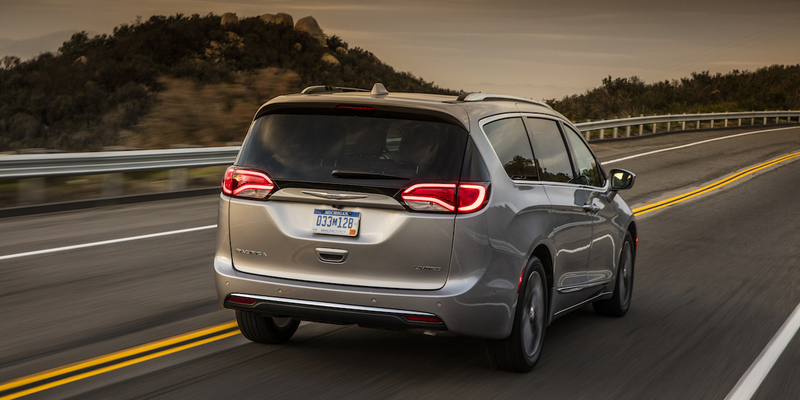 The Pacifica puts Chrysler back on top of the minivan segment by offering class-leading horsepower and fuel economy, excellent road manners and ride quality, and an unmatched array of family-friendly features … all wrapped up in a surprisingly stylish package. The standard Stow ‘n Go collapsible second-row seats give up fore-and-aft adjustability and a bit of cushiness in exchange for their fold-into-the-floor versatility. A plug-in hybrid version of the Pacifica—with an estimated electric-only driving range of 30 miles and a city EPA rating of 80 MPGe—is set to go on sale as a mid-2017 model. 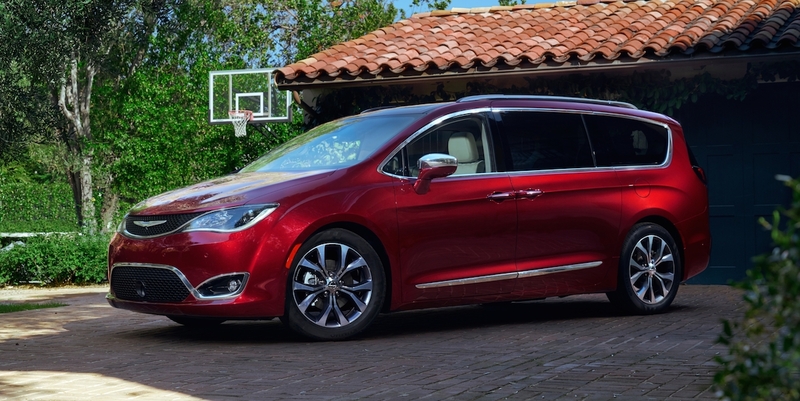 The Pacifica is Chrysler’s new-for-2017 minivan. It offers seating for seven or eight and is available in five trim levels: LX, Touring, Touring-L, Touring-L Plus, and Limited. The lone powertrain is a 287-horsepower 3.6-liter V6 paired with a 9-speed automatic transmission. (The Pacifica Hybrid will use the same 3.6 V6, mated to a dual-motor electrically variable transmission.) 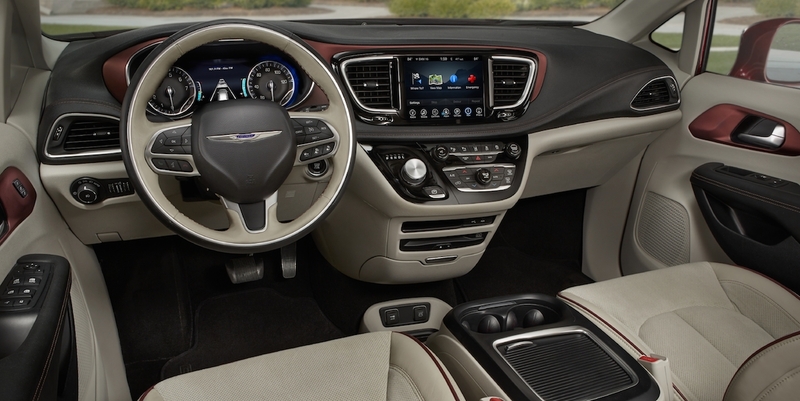 Chrysler’s class-exclusive Stow ‘n Go seats now offer “East Tilt” access to the third row (even with an empty child seat installed) and feature Stow ‘n Go Assist, which powers the front seat forward at the touch of a button for easier floor-bin access. The third-row seats fold to the floor and the Limited model offers a power-folding feature. 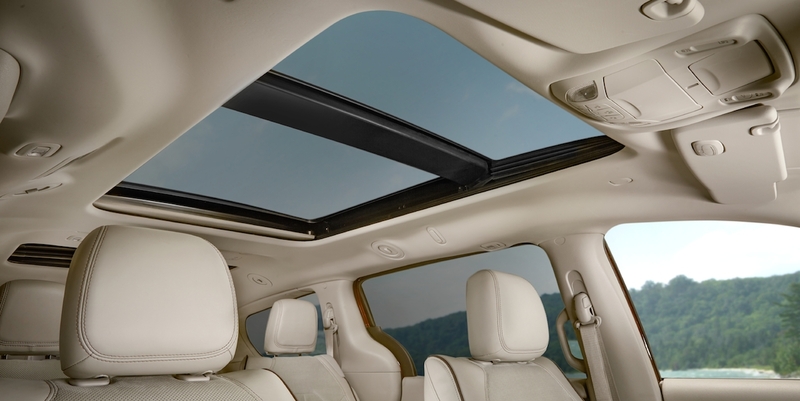 Other available features include a Stow ‘n Vac integrated vacuum system; tri-pane panoramic sunroof; hands-free power liftgate and power-sliding side doors; and a dual-screen rear-seat entertainment system with wireless headphones, remotes, and aux/USB/HDMI input jacks. Available safety features include forward collision warning with autonomous braking, lane-departure warning, blind-spot monitor, and a 360-degree surround-view camera.. 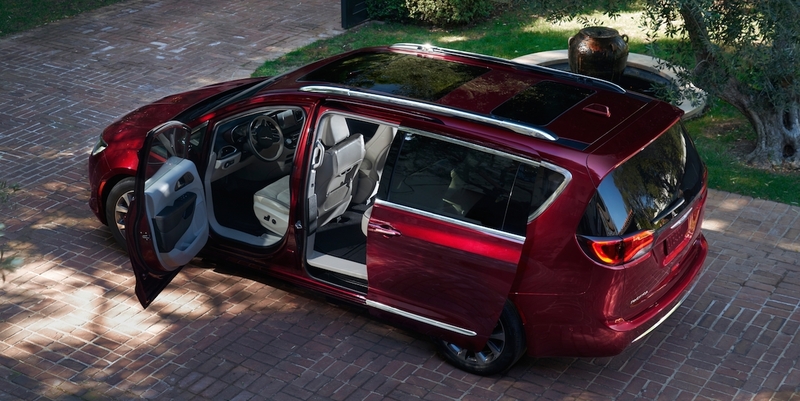 The Chrysler Pacifica is an all-new minivan that replaces the outgoing (and long in the tooth) Chrysler Town & Country. 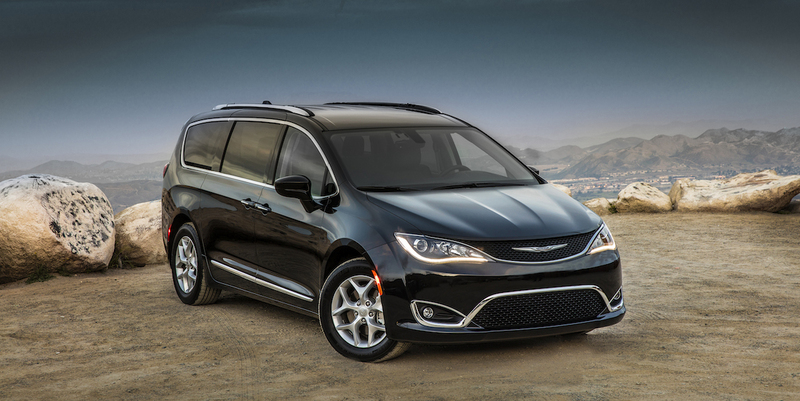 The Pacifica is poised to be Fiat Chrysler Automobiles’ lone minivan offering; the Dodge Grand Caravan carries on for 2017 using the company’s previous-generation design and will likely be dropped for 2018. The Pacifica is EPA-rated at 18 mpg city/28 mpg highway/22 mpg combined. 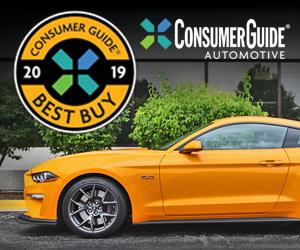 In Consumer Guide® testing, a Limited model averaged 25.2 mpg in about 85-percent highway driving. 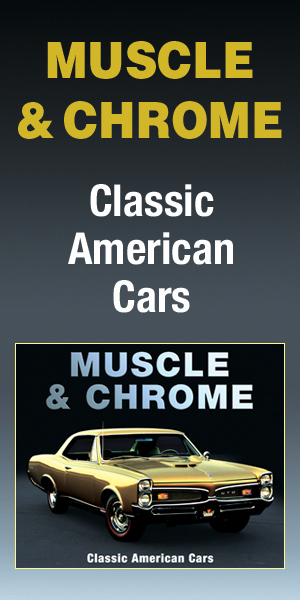 The previous-generation Chrysler Town & Country’s platform dated back to the 2008 model year, and it had grown too old to be competitive with newer-design class rivals. 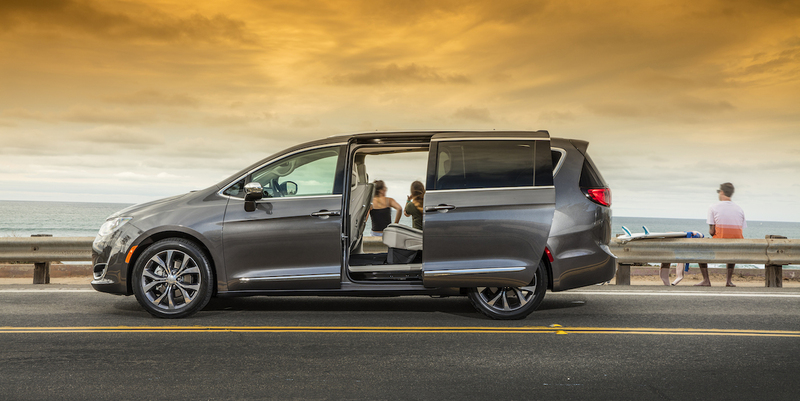 The 2017 Pacifica matches or beats its competition in terms of power, fuel economy, ride quality, and overall comfort—but its long list of thoughtful and well-executed convenience features are what cinch its Best Buy status.